Start Your Engines! 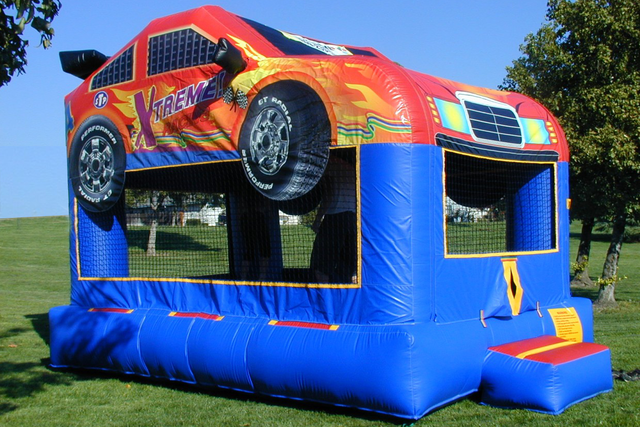 The Racecar Bounce House does laps around the competition with its three-dimensional side-view mirrors, rear air spoiler, and red flame detailing. This unique jumper is the perfect way to attract guests to your event for the boys and girls! This unit is a 20x12 COVERED area with netting around the sides of the unit. Make sure to leave at least 3 feet of space open on each side for safety reasons.